Beautifully Bombshell — @SolTheory | October 2016 | @FirstBlushBB Review Disclaimer: Posts May Contain Affiliate Links and Means I Will Earn Compensation for Your Clicks And/Or If You Make Purchases Via the Link. 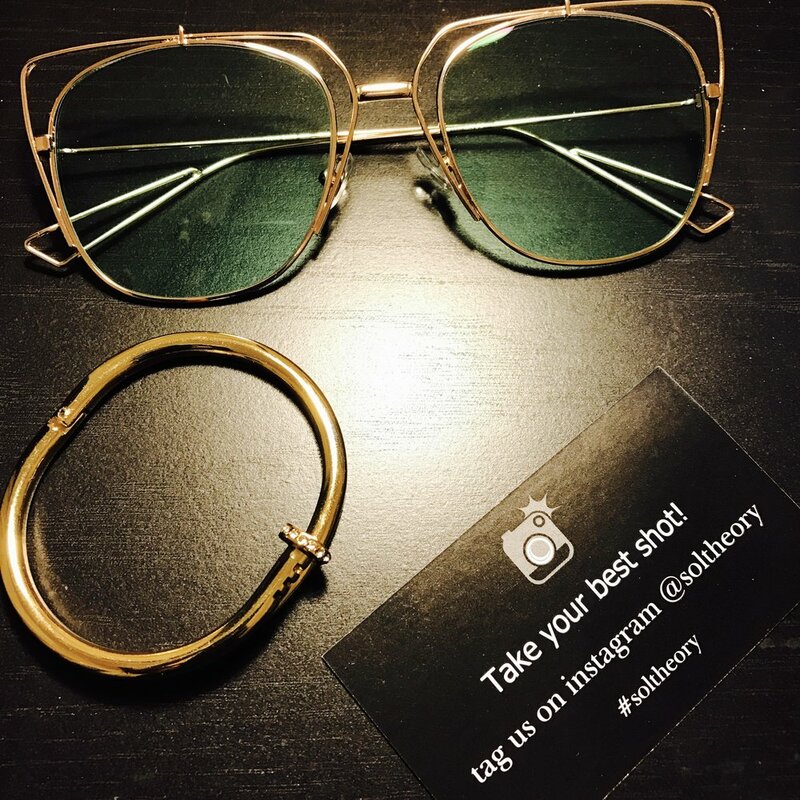 I got my second Sol Theory Box in the mail and it included this sweet pair of gold framed sunglasses with green tinted lenses and a sweet gold bracelet with tiny rhinestones. Now I am not a person who wears a lot of accessories or owns a lot of things with gold accents but I kind of love these sunglasses. They are perfect for the amount of sun we get here in Arizona.